How Much Does the Average Wedding Cost in Canada? The wedding industry has grown to about $5 billion in Canada, with over 160,000 weddings taking place every year. How much money exactly are couples spending on their big day? Across the nation, most couples grossly underestimate wedding costs. Canadians expect to spend $15,000 on their big day. The reality? Most pay double this number. When planning a wedding, people are often shocked at how fast the little things add up. It can be tough to keep costs down when getting married in a major city like Toronto. But if you do your research, create a proper budget, and keep track of your spending, you won’t be caught off guard. 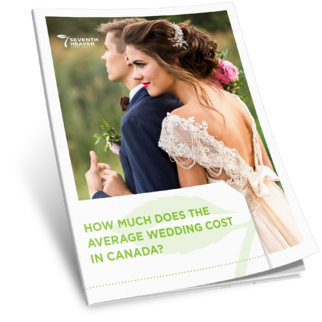 Download this e-book to learn more about the average cost of a wedding in Canada.